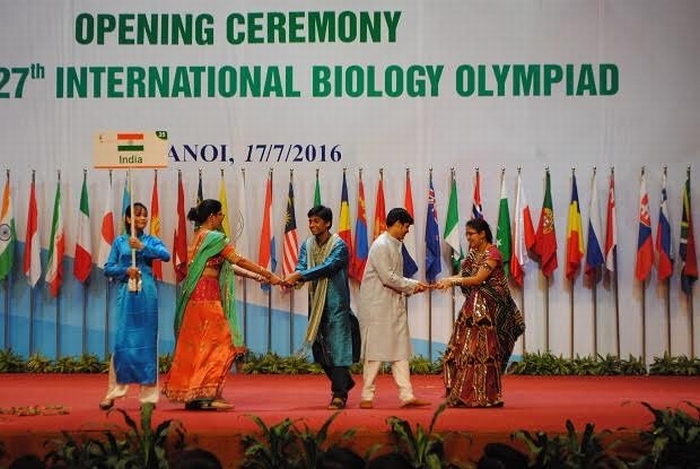 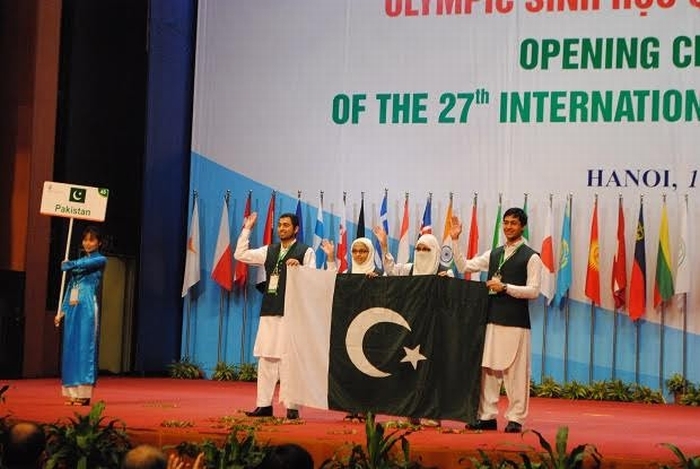 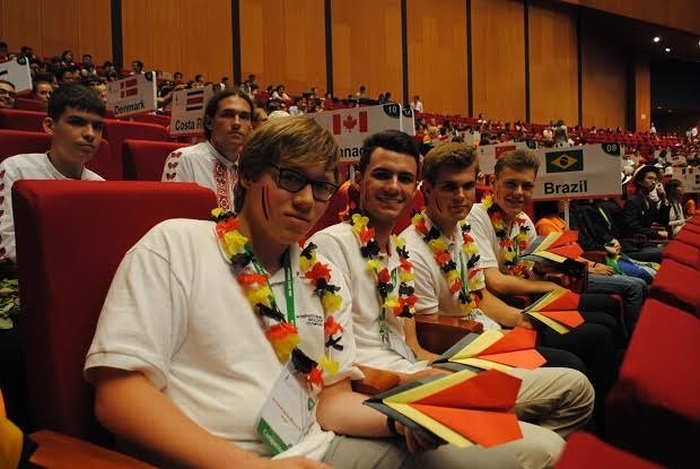 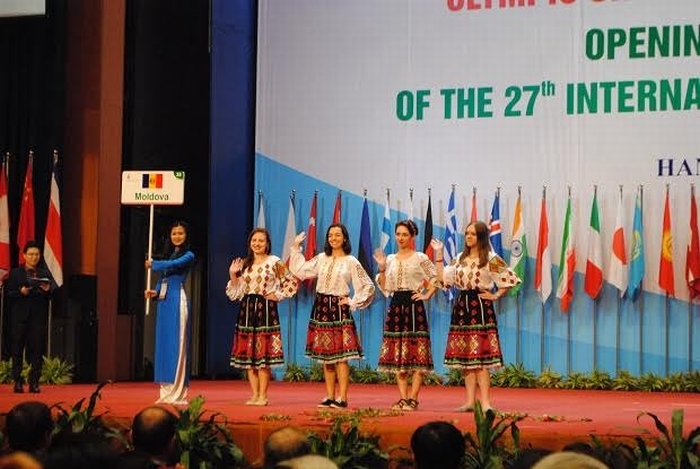 Delegations attending the 27th International Biology Olympiad (IBO) in Vietnam had made impressive greeting performances at the Opening ceremony on July 17th. 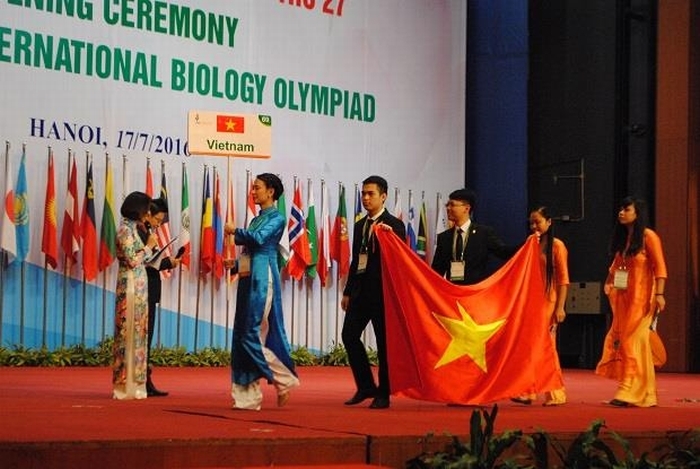 This year for the first time, Vietnam hosted the International Biology Olympiad. 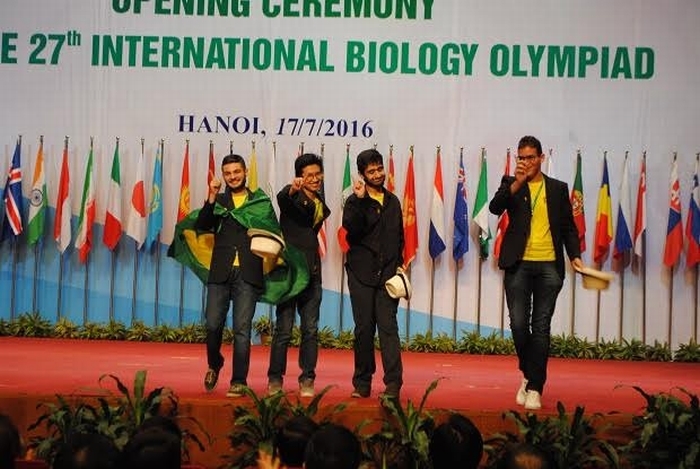 Presenting at IBO 2016 were 71 delegations from countries and domains around the world. 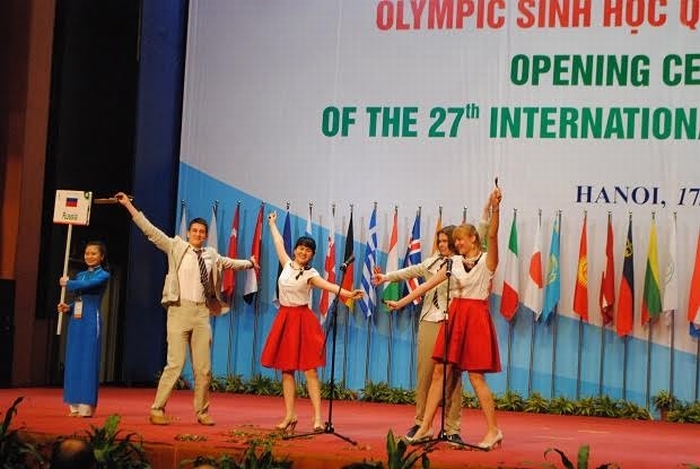 To be specific, there were 238 teachers and 264 students, which was a remarkable record in the history of IBOs in terms of delegations and participants enrollment. 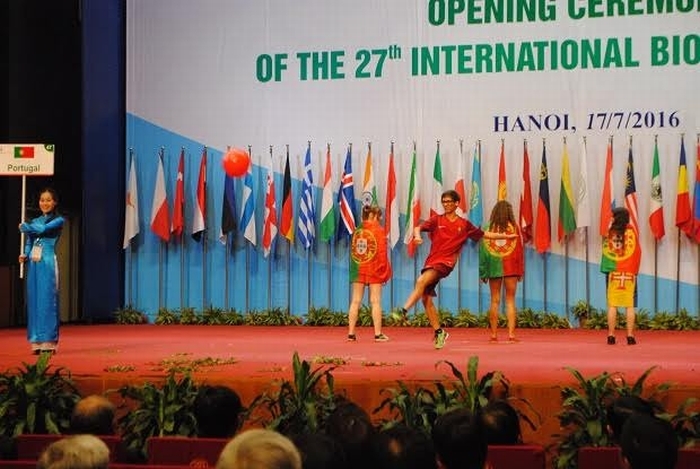 Giving speech at the Opening ceremony, Minister of Education and Training Phung Xuan Nha said that becoming the host of IBO was a convincing proof for the trust and recognition of international community for the development of Vietnamese education. 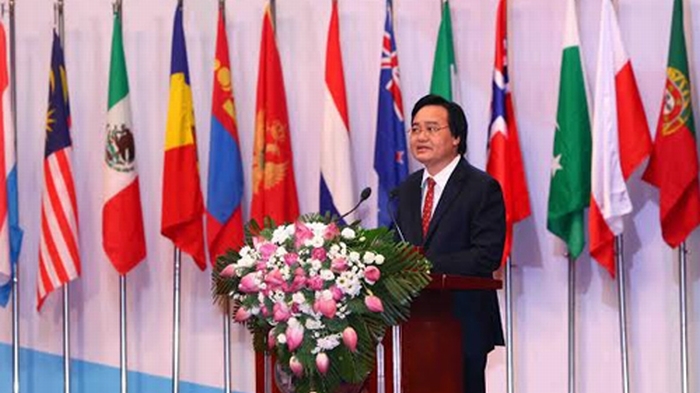 Minister Phung Xuan Nha: "After four years of preparation and twelve months of speedy completion, the work has been completed"
According to Minister Nha, the incoming IBO 2016 would be challenging but rewarding for students. 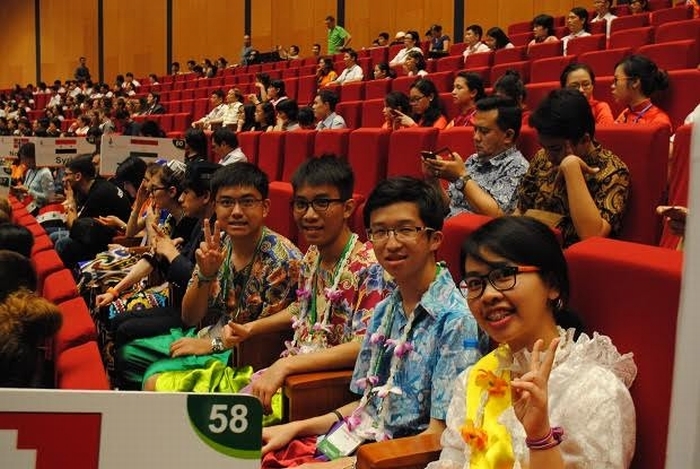 This would also be a strained but meaningful and humane working time with the teachers. 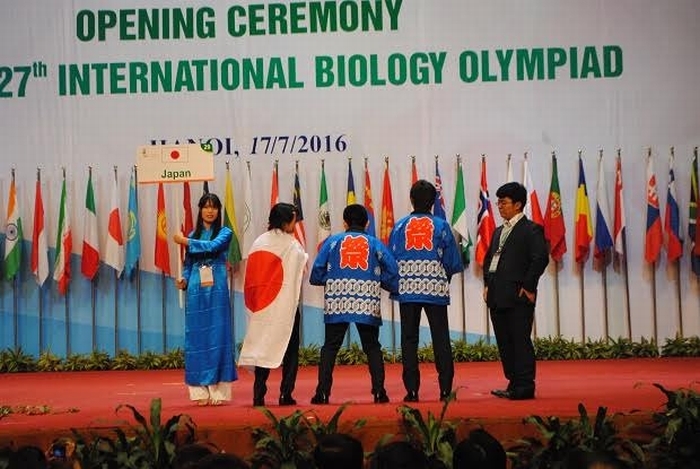 In regard of Mr. Nha, IBO 2016 is an opportunity to reinforce cooperation, to share experiences and to encourage learner autonomy in general and Biology in particular. 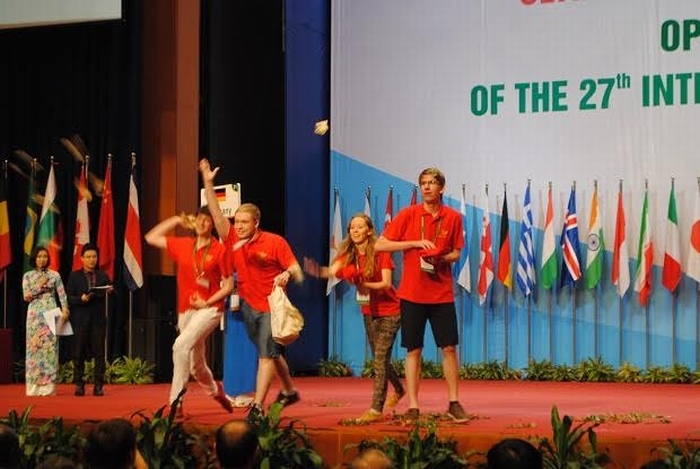 It also provides a chance to broaden the relationship and enhance the scientific capacity within the community of biologists across the world. 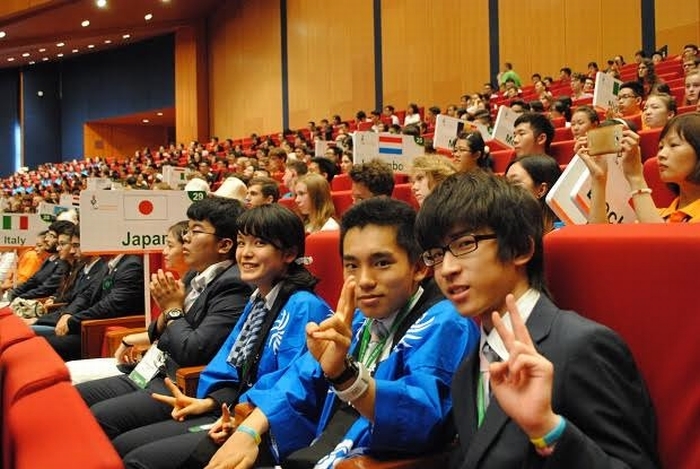 "Only 60% of the participants will be able to win, but it does not mean that the remaining 40% are losers. 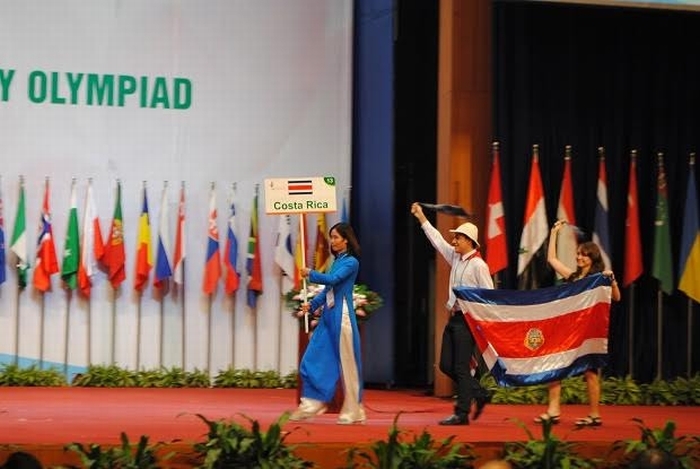 They will possess even more precious gifts, their new friends. 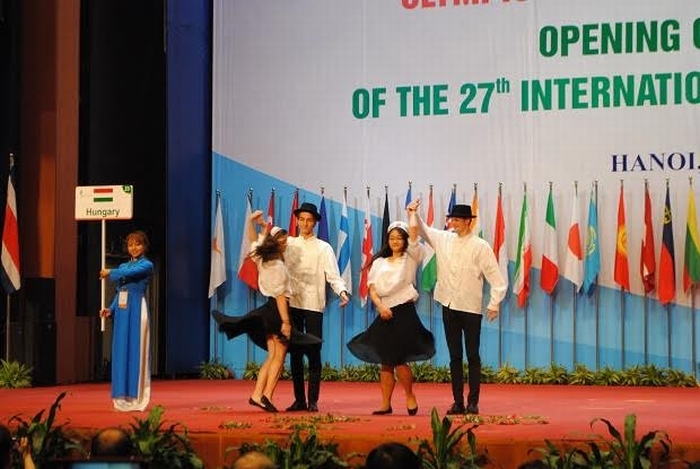 Making friends is an indispensable step in the journey of success and development", said IBO President, Poonpipope Kasemsap. 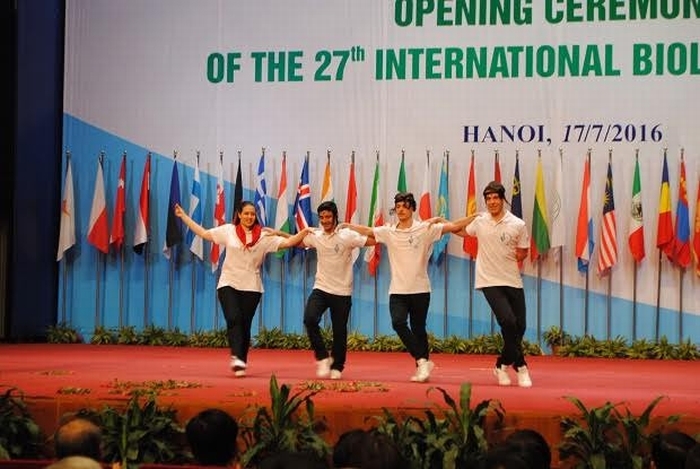 This year, the delegation of Vietnam includes four students, namely Vu Thi Chinh (University of Science High School for Gifted Students, Vietnam National University); Nguyen Ngoc Minh Hai (Ha Long High School for Gifted Students, Quang Ninh); Nguyen Dac Hieu (Lam Son Gifted High School, Thanh Hoa) and Le Thi Hong Hoa (Hanoi-Amsterdam High School for the Gifted). 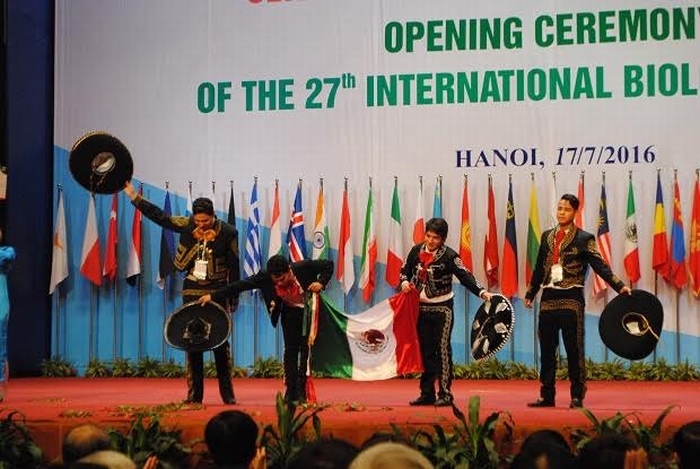 At the Opening ceremony, international contestants brought their own distinctive cultures to Vietnam thru their greeting performances.